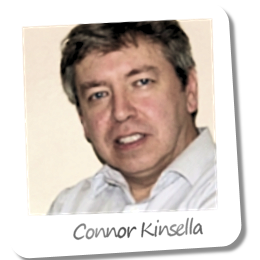 Connor formed JCK Training* in 1998 while working as an NHS Ward Manager in South London, and while JCK is now a full-time concern he still enjoys getting 'hands on' with part-time work at a care home in Dorset. Connor is co-author (with his wife and business partner Caroline) of Introducing Mental Health: A Practical Guide and has contributed to several other books. He also writes the Stuff of Social Care blog now featured on this site as well as a local review blog about life in Dorset, and is a contributor to The Guardian's Social Care Network. But as enjoyable as tapping away at a keyboard is, what he really likes is working with people. Especially people in a training room learning about skills that will make a lasting difference to how they work. With a strong clinical background in forensic psychiatry, Connor is particularly interested in Mental Health, Personality Disorders and Risk Assessment. He has also run many courses and written about Self Harm and Suicide. *And in case you're wondering (and many do) JCK stands for John Connor Kinsella!